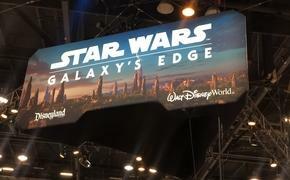 We’re still almost a year and a half away from the release date of Star Wars Episode VII, but that hasn’t stopped the Internet from having a little fun with a galaxy far, far away. Take Frank Wunderlich for example. 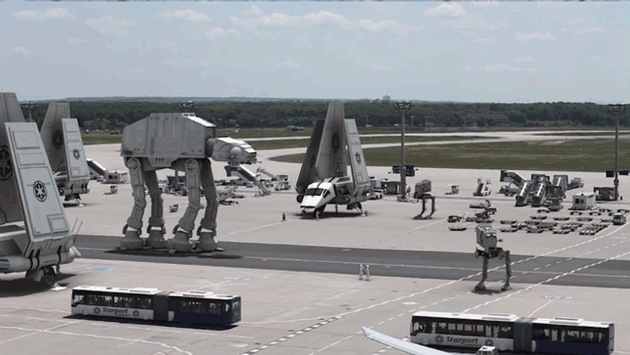 During a flight back to the States from Frankfurt Airport, Wunderlich decided to grab a little bit of footage from the tarmac and have a little fun with it, using video editing software to add in TIE Fighters, Imperial shuttles, star destroyers, AT-AT walkers and even a cameo by the Death Star. Unlike most fan videos, this one is impressively realistic (prompting at least one YouTube commenter to ask, “Is this real?”). We have no idea how much time it took to turn Frankfurt Airport into an Imperial Starport, but we salute the ingenuity and the sheer amount of time something like this must have taken. Thanks, Frank Wunderlich, for giving us something to think about next time we’re taxiing to the runway.